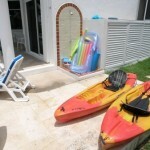 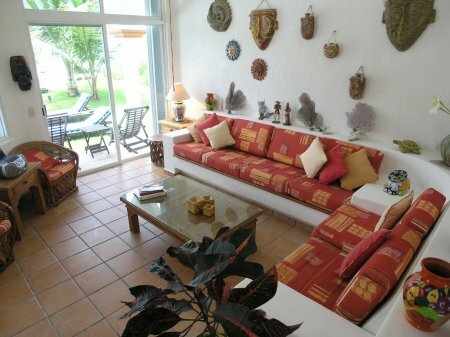 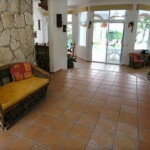 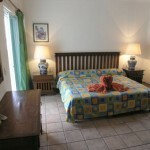 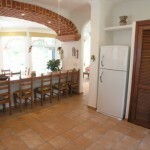 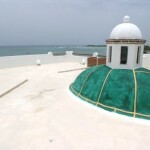 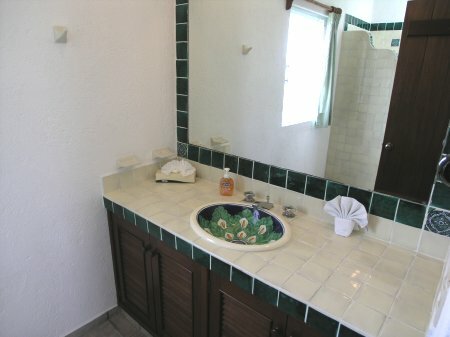 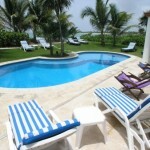 Villa Margarita comfortably accommodates up to ten guests in colorful, Caribbean seaside style. 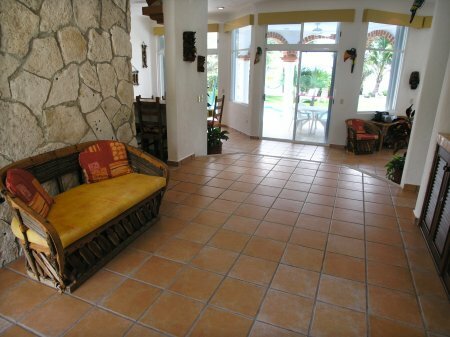 In this luxurious living space, there’s plenty of room for relaxing and recharging. 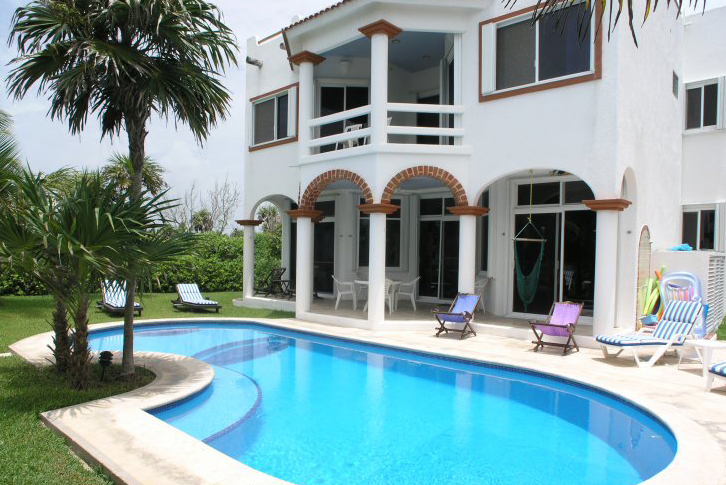 As you enter, the wide foyer leads directly toward the sunken living room and dining area, facing the ocean, with a wall of windows and sliding glass doors revealing the patio, pool and the Caribbean surf just beyond. 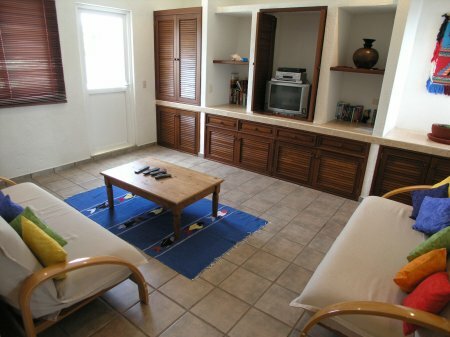 On the left is a fully equipped kitchen with an expansive ocean view over the double-sided breakfast bar and through the dining room. 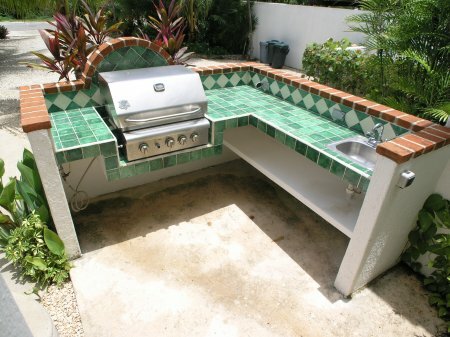 If you prefer casual outdoor cooking, there’s an outdoor kitchen with a built-in stainless steel, propane fired grill and wet bar, just at the front entry and out of the wind. 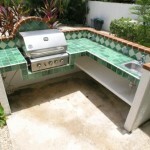 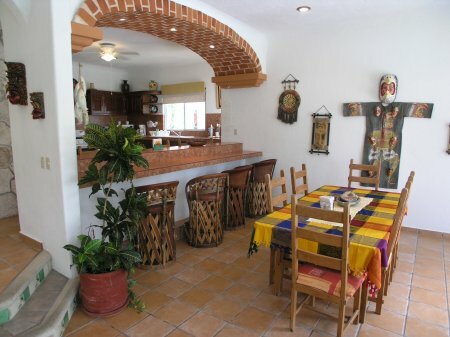 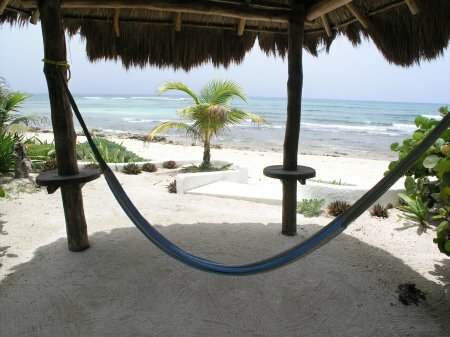 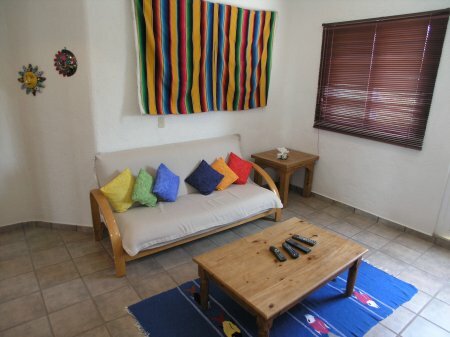 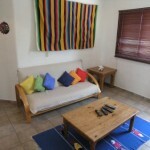 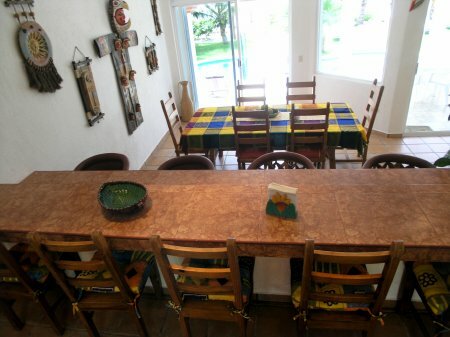 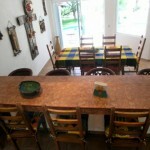 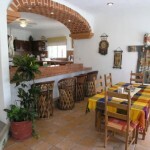 Furnishings are Mexican rustic with brilliant Caribbean style, colors and fabrics. 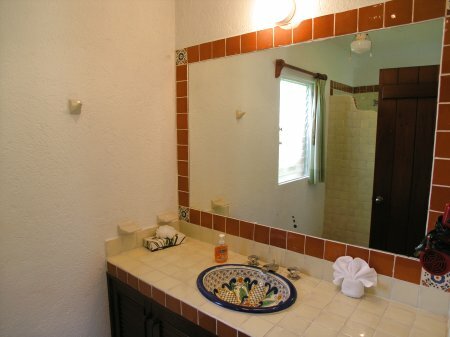 Off the foyer near the stairs, there is a powder room, and the entrance to the main floor bedroom. 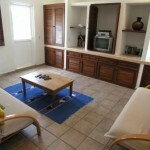 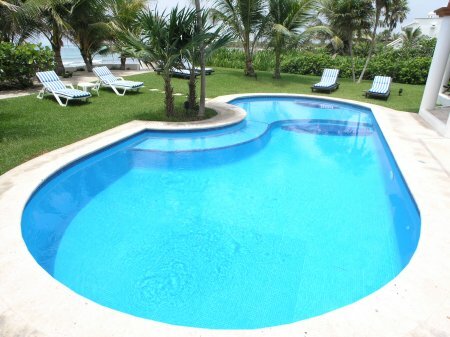 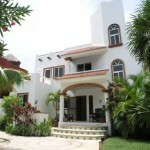 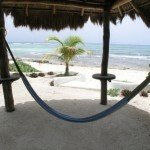 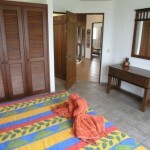 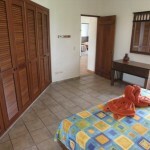 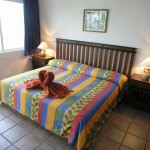 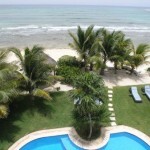 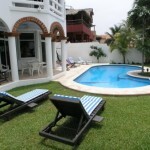 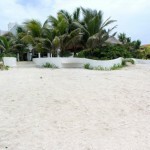 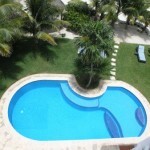 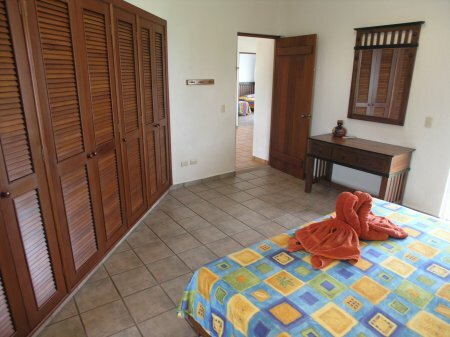 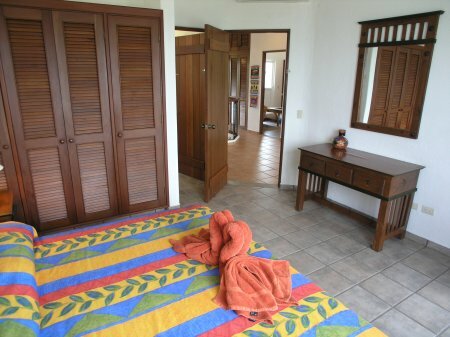 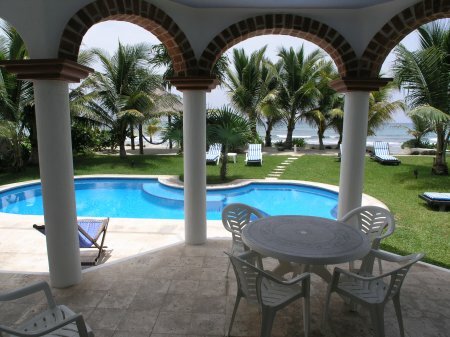 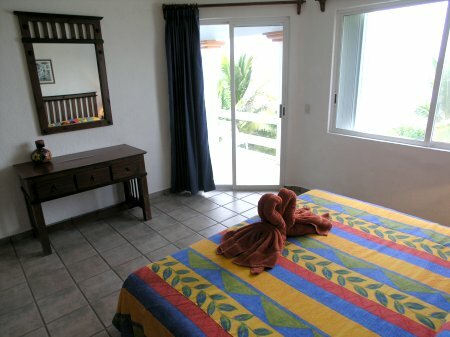 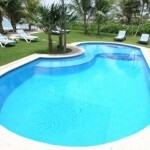 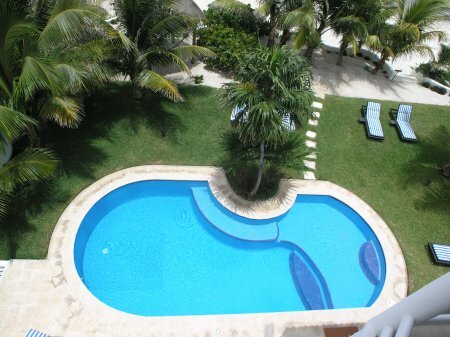 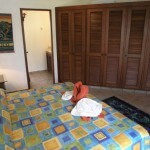 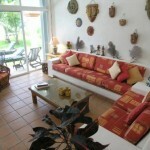 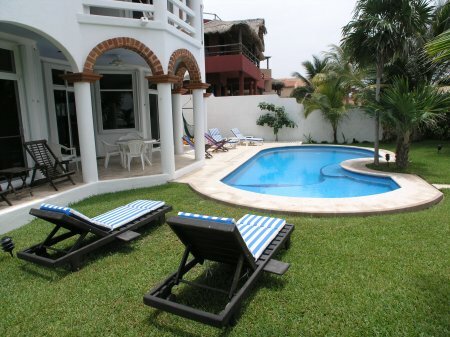 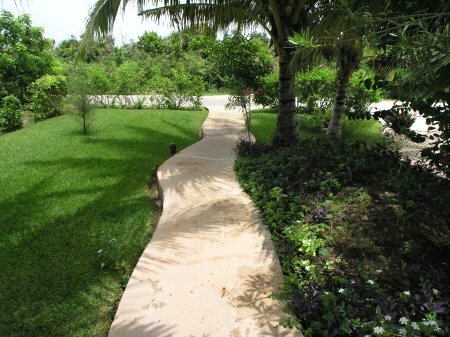 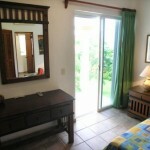 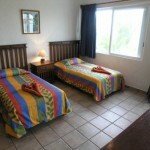 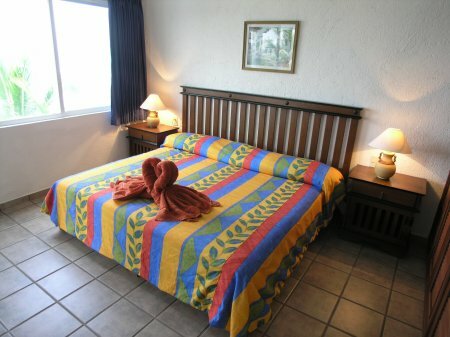 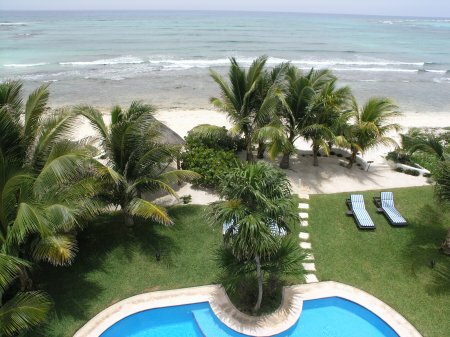 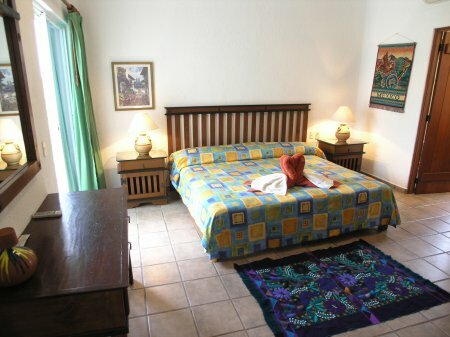 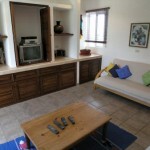 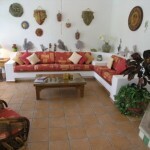 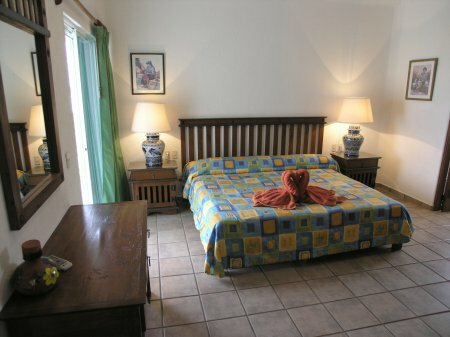 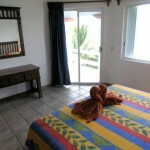 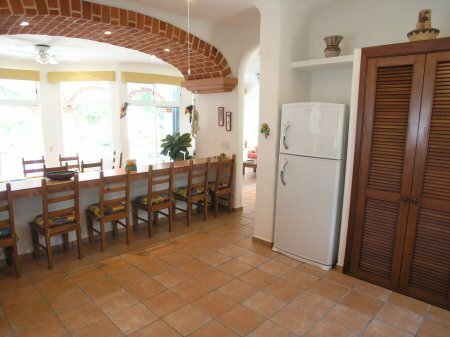 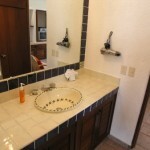 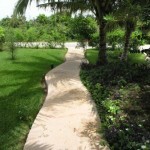 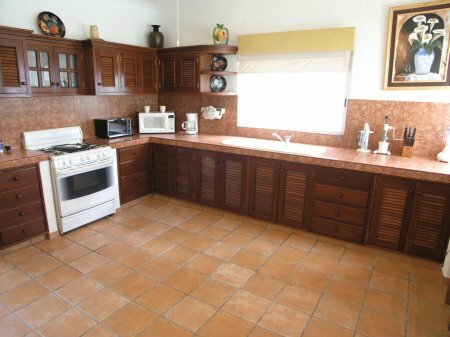 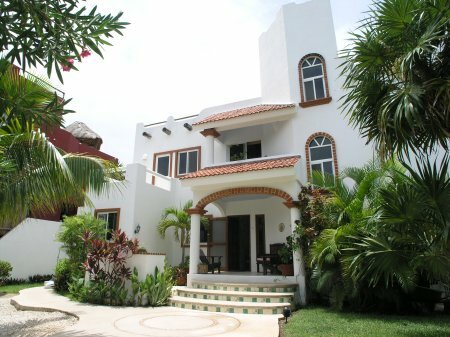 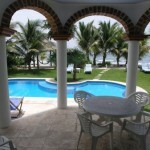 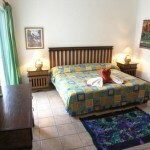 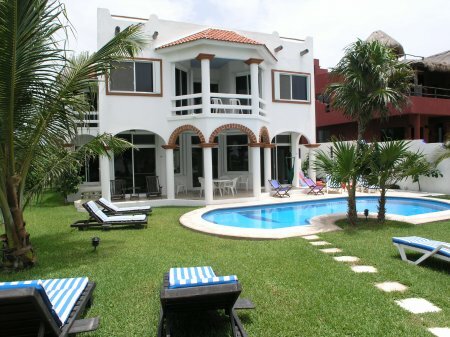 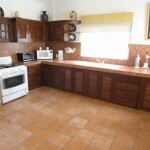 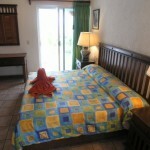 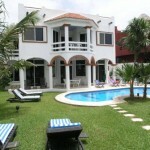 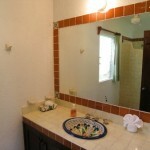 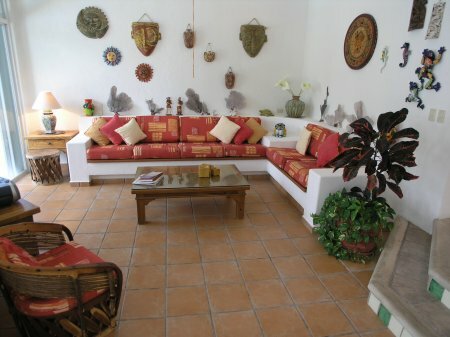 Villa Margarita has four large air-conditioned bedrooms and 4.5 bathrooms. 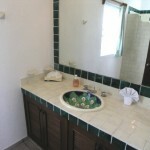 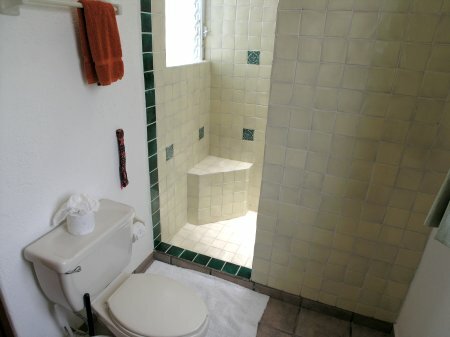 There are three bedrooms upstairs, each with en-suite bathrooms. 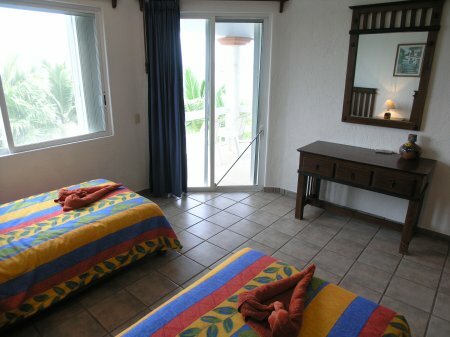 Two of these access a shared second floor balcony with Caribbean views and refreshing sea breezes. 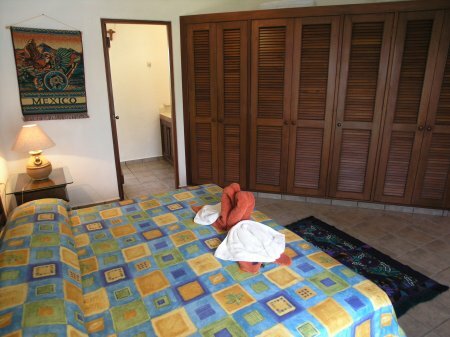 The third upper level bedroom has a private en-suite bathroom and private seaside balcony. 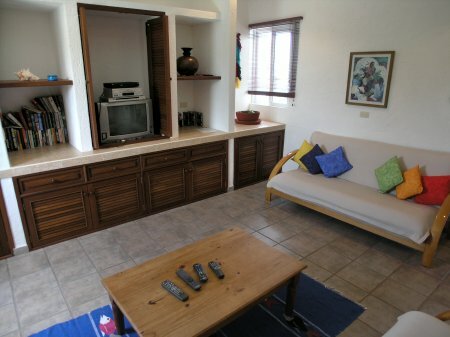 Also, on the second floor, there’s an air-conditioned entertainment room with satellite TV, DVD player, two futon sofa beds, and its own private deck overlooking the jungle. 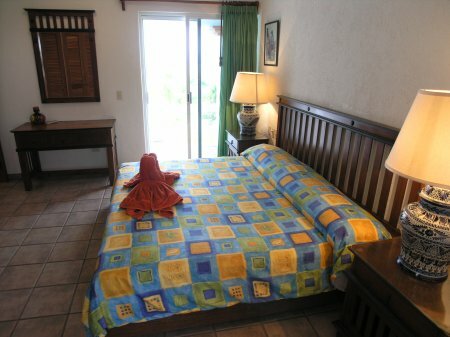 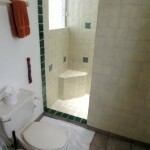 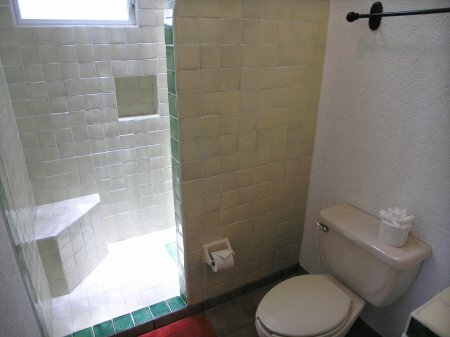 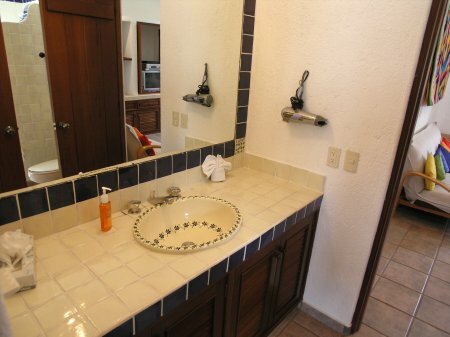 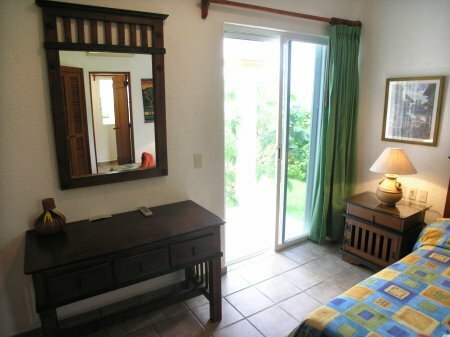 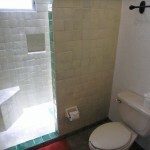 The first floor bedroom has a private bathroom and enjoys direct access to the poolside patio. 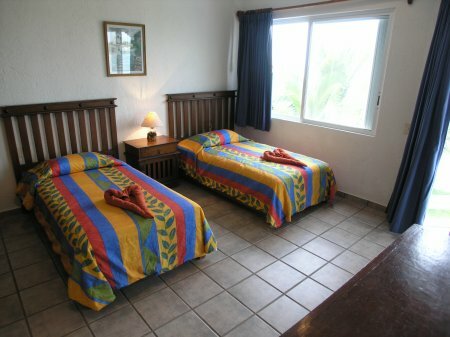 Three of the bedrooms have king-size beds and one has a king that separates into two twins, offering additional flexibility. 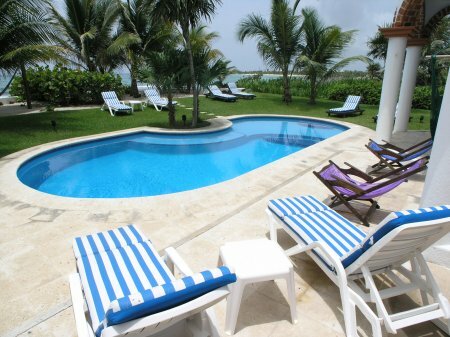 With both sun and shade the pool area is a great place to play, tan or just lounge about, anytime of day. 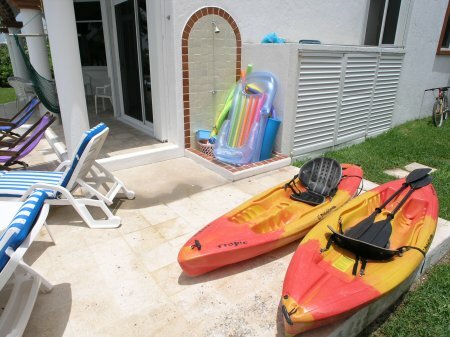 Snorkeling is great on a calm day, or if it’s a bit too choppy, take a spin around the bay in one of the sea kayaks. 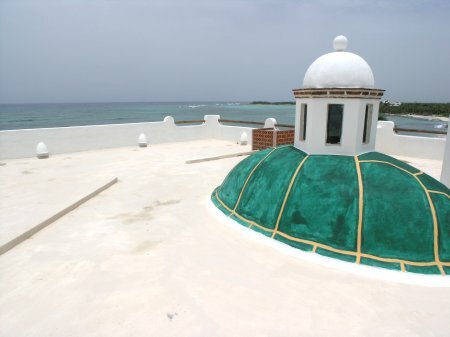 If you prefer a higher vantage point, take the spiral stairway to the roof for a fantastic panoramic view of the surrounding ocean and jungle. 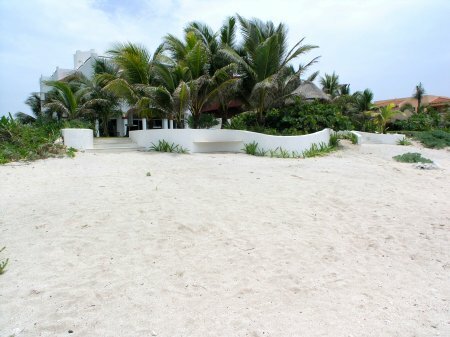 It’s perfect for afternoon sunning, evening cocktails or stargazing at night; you’ll be amazed when you’re able to see just how many stars you’ve been missing! 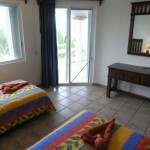 Add $500 per person ($250 for children 9 and under) over base occupancy of 8 guests *.